In 1998, while working with researchers at the Jackson Laboratory in Bar Harbor, Maine, we discovered an urgent need for systemized data management. At the time, there was very little applicable software available given the importance of accurately tracking vital breeding and laboratory animal data. And thus Locus Technology was born. With the extensive help of researchers at JAX and other research institutes, we conceived and developed Colony, our original data management program. Colony focused on colony management and became an alternative to paper ledgers and spreadsheets. Since then, we have continued to develop our software in an attempt to satisfy the requirements of facility managers and researchers in both academic and commercial organizations worldwide. After Colony came Facility, our integrated facility management system. We also developed “PHARM,” a software solution that complies with the strictest regulatory requirements (such as 21 CFR Part 11), mainly for large animal management. Our newest product, LabTracks, offers high-level security for the storage of various types of research data such as animal records, images, and laboratory samples. The configuration and customization options for this package are virtually limitless. All of our software programs provide increased security, a wide range of customizable features, and a reduction of time and effort spent by participants in the research process in key areas such as report generation and data analysis. 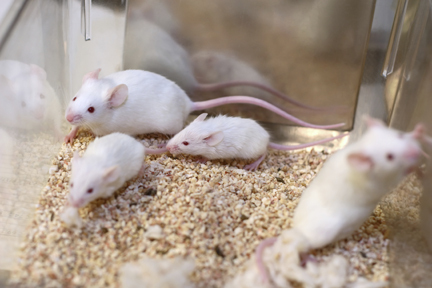 We provide adaptable, powerful solutions to previously unmet animal research needs. For fourteen years, we’ve developed data management for organizations ranging from single investigators to multi-national pharmaceutical companies in dozens of countries. Our goal is the same as it has been since our inception: to be stable, yet dynamic, serving and sustained by the research community. We are small enough to be flexible, and dedicated enough to provide personal attention to our many customers. We promise to listen to your ever-changing needs and will keep you up to date with future developments. When you are satisfied, so are we.